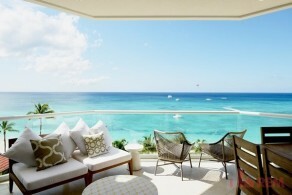 Let’s say you have always dreamed of moving and living in the Cayman Islands. How do you prepare to take the plunge? The Cayman Islands are unique and by observing and speaking to locals and expats, you will notice they all experience a lot of the same challenges and joys. Island life isn’t for everybody but for the majority of us, we truly are island people, we love it and we stay. 1. Cayman time really does exist. “Soon Come” – is a brilliant display of the laid back, sometimes apathetic value of time. It means, “it will come.” And that could literally mean soon, eventually, next week, soon enough, or it might mean that enough time will pass such that you’ll forget you are waiting for something. “I will be there in 5 minutes” this could mean 15-30 minutes, AT LEAST! 2. Drinking is the name of the game. With tourists all around you drinking like it’s their last cocktail of the year, perfect beach bars, cheap rum and everybody is always happy………..the temptation becomes too much to handle. The first year is probably the most alcohol-filled as everything is new. The weekly consumption will eventually go down but in most countries you will still be regarded as a raging alcoholic. The Cayman Island is small, which means less volume and less volume means higher shipping costs, which in turn causes the prices of items to be somewhat unfavorable. Miami is a one hour and 5 minute flight away, with several malls, (including shops you can buy suitcases in). There are a few of us that take the morning flight, shop their brains out and come back on the late night flight. People expect all of us who live in the Cayman Islands to be these beautifully tanned types but we work hard, just as hard if not harder than most places, we have no time for the sun, sea and sand. But…………come Happy Hour on Friday, the Cayman Islands shows its best side! Happy Hours all round, with no mention of work. Weekends are all about lazy beach days, beach parties, BBQ’s with friends, boat trips to stingray city or the sandbar. 5. Becoming a car mechanic is essential to your survival. Blazing sun, heavy rains, salt and Cayman roads! Most days I feel sorry for my car, your car will break down every couple of months, which will help you become a somewhat proficient car mechanic. Batteries last about a year and a half in the Cayman Islands, therefore you become a master a jump starting your car. “Car Sounds” will become familiar and you know when you have to rush to the nearest “car-guy” to take a look at it for a cheap and temporary fix. In the last few years our grocery stores have grown and they have everything you can imagine from almost all corners of the globe. Try not to focus too much on the pricing, if you can afford it, just buy it and enjoy it. You never know, it can take weeks before you favorite product hits the shelves. The Cayman Islands is closer the equator, the sun generally comes up between 6-7 and sets between 6-7 (depending on the time of year). Sadly, no long days, where you can sit out until 10:30pm, one misses those long summer nights! On the flip side, no short cold winter days. We work just has hard, or harder in the Cayman Islands. When you FaceTime on the weekends, the first question that is asked is “How was your day at the beach?”, “What cocktails did you have?”, REALLY?! It’s hard to try to explain your life in the Cayman Islands to other folks but does help make the times when you are sitting at Rum Point, sipping a Rum and Coke on a Tuesday super sweet! Most people move to The Cayman Islands for the weather what people don’t know is it can get crazy hot! Hot as in branded by your seat belt hot or wearing oven gloves to drive after the car has been sat in the drive way too long! But along comes December and with it brings the Christmas breeze, temperatures drop to around 77-79, you will see locals and longtime residents out in their light sweaters, just because the can! 10. Mosquitos are truly the worst insect of all! The itching and the buzzing keeping you up all night long! Don’t leave the house without a can of OFF in your bag, a winner comes in a green and yellow bottle, this will become your new best friend! A Sunset over the ocean will never get old! You will watch the sun go down 100 times in the Cayman Islands and each one will be more beautiful than the night before – take a moment to enjoy it!